**The more circuits in any machine, the more it's likely to get "haunted." ** When you connect it to the Internet then you can get more than you asked for. Installing a home system seemed obvious at the time. Having the "Internet of Things" to give you your every whim seemed a dream come true. When our broadband costs rocketed, we looked to see what usage was happening - too many videos, too many games, was someone parked at the curb outside our house and downloading massive files? None of these. Our technician said that the uses were almost tidal - like our home was breating. Of course, we fired him. But then couldn't hire another. And then found ourself locked out of our own home - By the ghosts in our machines. Excerpt: "What do you mean we can't get back in to my own house? What about cutting the power?" "I can't get the power company to send any more people here. They keep getting shocked even before they touch the disconnect." "At the pole?!?" "Yes. Their own power pole is shocking them." "What about cutting off the whole block?" "Not that simple. There are a lot of lawyers who live in this neighborhood of yours and they already know about your haunted 'smart home'. They've let us know that it will be costly if we try. Besides, the next closest substation takes out dozens of blocks around here. We aren't going to turn everyone off just because you lost the password to your own smart home." "It's not the password, I tell you..." The owner was fuming by now, fists clenched. "Oh, just never mind." That Smartphone slid into a pocket. The windows on the house pulsed red and green. And no, they didn't have Christmas decorations up. The last technician who was willing to come out and have a look at their house said that it reminded him of breathing. And after we fired him, no other company would agree to take it on - but would schedule us their "next possible opening" - some months from now. The owner, his wife, and two kids were just standing on their sidewalk. Even their cars were locked inside the garage. All they had been able to take with them were their smartphones, a game controller, and a tablet. But accessing their smart home control panel only gave them a pac-man-era pixelatted sad face. Worse than sad - angry. Calls to the company who made the programs and installed them went unanswered, or were refused. At last, one of the neighbor's wives came over and called them a cab on her own phone. It was close to sunset now. And while all the houses had power, the streetlights on that street and the two nearest ones didn't come on. Police sent patrol cars to manage traffic in those three streets, but wouldn't come down to that vacant house. The one that breathed red and green - and looked far more ominous in the dark. - - - - "Are you sure? An actual haunted house? OK - what's the address? Yea. OK. No. That's fine. Thanks." I put down the pencil on top of the pad and then shut off my phone again. And I mean shut it off. When I was writing, I didn't want interruptions. How I even had that phone turned on was an annoyance. And now someone was reporting a haunted house. Oh come on, like we haven't seen that before. I then stood up, held the pendant with one hand, closed my eyes - and thought myself to the Library... Scroll Up Get Your Copy Now. 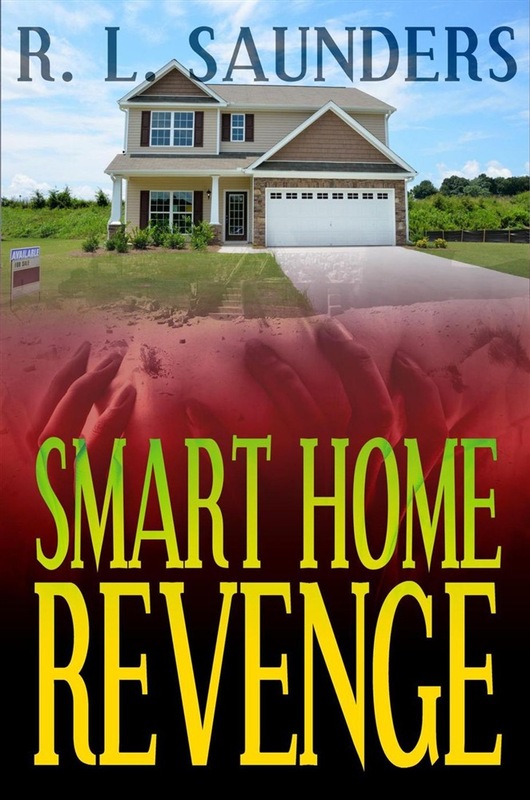 Acquista Smart Home Revenge in Epub: dopo aver letto l’ebook Smart Home Revenge di R. L. Saunders, S. H. Marpel ti invitiamo a lasciarci una Recensione qui sotto: sarà utile agli utenti che non abbiano ancora letto questo libro e che vogliano avere delle opinioni altrui. L’opinione su di un libro è molto soggettiva e per questo leggere eventuali recensioni negative non ci dovrà frenare dall’acquisto, anzi dovrà spingerci ad acquistare il libro in fretta per poter dire la nostra ed eventualmente smentire quanto commentato da altri, contribuendo ad arricchire più possibile i commenti e dare sempre più spunti di confronto al pubblico online.